Sheryl Crosier ran screaming down the hall of the hospital. Her infant son’s monitors were silent. She thought he was dead. Crosier, mother of three boys, had already lost six babies to miscarriage. Now she was fighting for Simon’s life. The medical staff seemed to want to hasten his death. Simon was being given prostaglandin to treat a heart defect. The nurses and doctors tried to talk the Crosiers into taking him off the medication. 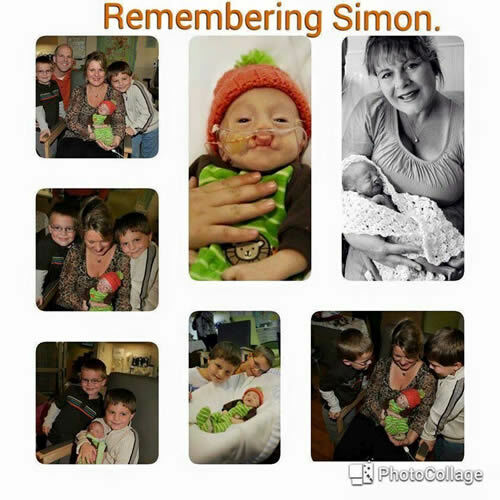 They also wanted to give Simon another medication that could’ve proved fatal. Once, in the middle of the night, he began to fuss. A nurse practitioner came in and asked Crosier’s husband if he wanted to give Simon morphine. Crosier wondered why the hospital wanted to give a fussing infant morphine. The nurses and doctors continued to push the Crosiers to let them give Simon the drug. Crosier thought about when her older children were infants and fussy. She’d call the pediatrician and walk them around the house. The doctors never told her, “Oh, let me prescribe morphine,” she said. One day Simon’s oxygen levels started to fall. Crosier and her husband tried to get the nurses and doctors to help Simon. “We were told that ‘There’s nothing we can do for him,’ or ‘This is Simon’s time. '” At 10:45 a.m. on December 3, Simon died in his father’s arms. Simon lived for 88 1/2 days. He was in the NICU his entire life. Further, Simon’s records contained an order for “comfort feeds.” Crosier found out that “comfort feeds” means the patient is given very little food — not enough to be nourish the body. “It means they starve you.” Crosier remembered when the nurse practitioner wanted to give Simon morphine. “He was hungry.” He didn’t need morphine, he needed food. Without parental consent, the doctors had placed a DNR order and a “comfort feeds” order in Simon’s chart. Doctors also diagnosed Simon with apnea, and then gave him a medicine that might stop him breathing. “They gave him Ativan. … That is a medication that is contraindicated for patients with apnea. A good pharmacist of ours said, ‘I wouldn’t give Ativan to an adult patient [with apnea], much less an infant.’ It suppresses breathing.” The hospital gave Simon Ativan twice before he died. Later, nurses told Crosier that their hands were tied. 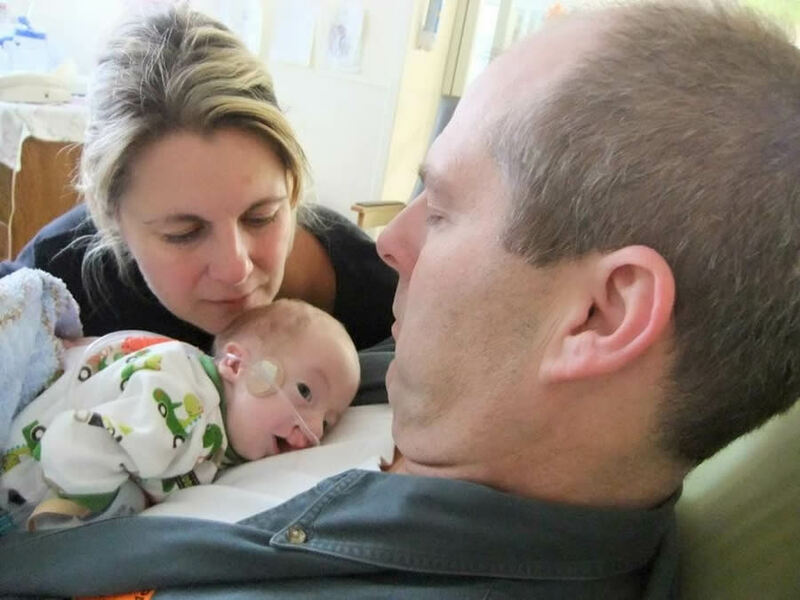 The doctors had already made up their minds about Simon and his diagnosis. Crosier found out about the Support Organization for Trisomy 18, 13, and Related Disorders — called S.O.F.T. for short. Through it, she met a lot of families. She realized there were lots of kids living with chromosomal disorders. 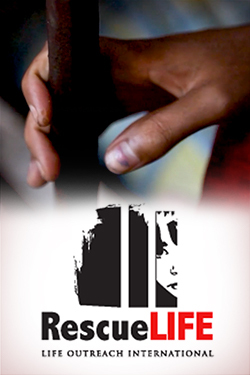 That’s when she decided to write Simon’s story, called I Am Not a Syndrome: My Name is Simon. She now helps other families navigate their child’s illness. She comforts parents whose child has recently been diagnosed with a disease or syndrome like Trisomy 18. She speaks at hearings for Simon’s Law — a bill that requires hospitals to obtain parental consent before putting a DNR order in a child’s medical chart. Some states have passed it and others are working to do so. She also speaks at Right to Life events.